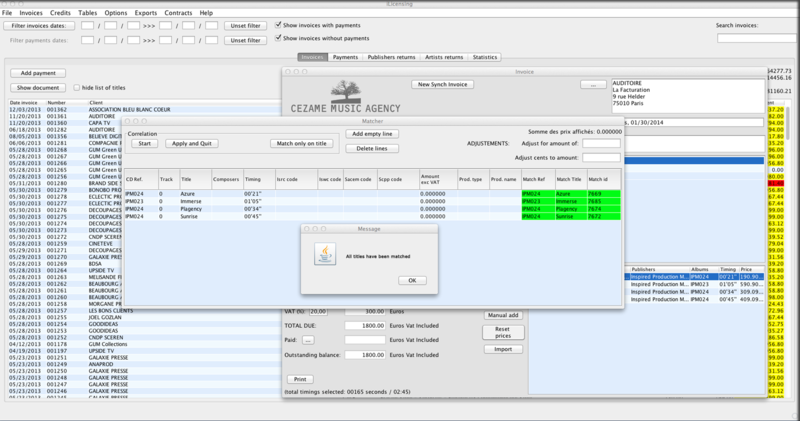 iLicensing™ is a licensing/invoicing module. 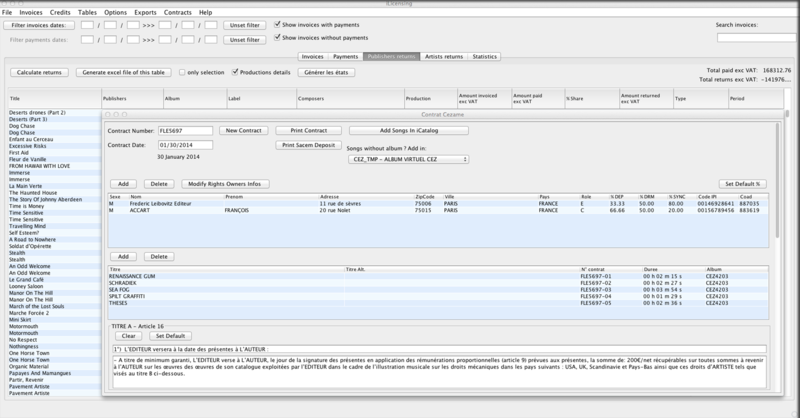 Invoice music and grant licenses directly from cue sheets, either manually or by a simple copyright search in the database. Invoice services and other company products. Have a clear idea of the amount charged per work/per song. Calculate by minute, second or flat-rate fee. 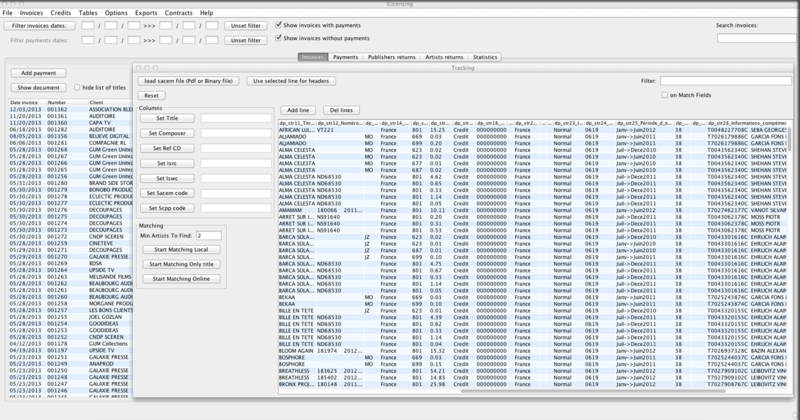 Manage client receipts and reminders. Create publishing contracts, print work registrations. Export standard accounting packages and reports. Display statistics on commercial activity. Dynamically control your income in line with your business objectives. Generate a range of reports for growing your business.